It seems to be the lament of many adoptive mothers I meet, “I didn’t really feel it.” Somewhere along the line, adoption has become associated with the myth of “love at first sight.” I surely cannot say that no one feels this, but I can say that not everyone does, and not everyone has to. Because the truth is, love is a thing that grows. I am sure there is truth in the stories that many tell of that moment they saw their child for the first time and knew instantly that God had ordained him to be theirs and fell in love. But I think so much more often, the action of love precedes the actual feeling. I knew many of my children months or years before I became their mother. When I first met them, I had no idea that this would be a bond we would share. Even when they first moved in and we filled out the foster care papers, I was tentative. I didn’t really feel like a mother, I felt like a stopgap in the system, a temporary solution. Even as we took steps to make their adoptions more permanent, after God had made it clear that we would be a forever family, I fumbled, often feeling more like a babysitter, or on good days, a fun aunt. Parents who are still feeling this way, be encouraged: you didn’t miss the miracle. The love at first sight moment isn’t really what it is all about, and might not happen for all of us. Some days, love isn’t a feeling, it is a choice. You may be the momma who opens her arms wide to the baby you’ve seen in photos who now clings tightly to the orphanage worker and cries in fear. You might be the mother sitting in your hotel room oceans away from your home watching her little chest move up and down while she sleeps, and feeling just devastated by how much of her you do not know. You might be the mother starting at the teenager who, years later, still refuses to be loved, who pushes you away just to see when, if, you will ever leave. And I just wanted to tell you, it is ok. You didn’t miss it. You didn’t miss His call and you didn’t miss the miracle. Love is a thing that grows. From the moment I met my children I loved them in the way that a heart feels they must love another human being, especially one in need of care. I felt that God made it clear to me that I was to raise them and this intensified my love into a fierce, protective, sacrificial love, but it didn't change the fact that it takes some time to make strangers into family. That part is a daily choice. From the day I signed those papers I knew they were mine; I was choosing to be their parent. But just like the choice I had made to adopt a child, I would also have to choose to love them. I would choose to love them each morning and each evening and sometimes many times in between. This often felt like failure. If God was giving me children, why didn’t parenting come a little more naturally? Wasn’t deep, connected, instantaneous love a miraculous gift? In my experience, it was more of a choice than a feeling. It was a process that took growth and the daily choice to love and pour into the small person in front of me, even on days when I felt like more of a babysitter than a mom. I wish I could tell my young, striving mother heart a thing or two. If I could, I would bring her weary frame a cup of coffee and reach out across the years to hold her hand a whisper to her all of the things that I did not know. I didn’t know that, one day, love for them would consume me. In those early days of laying sleepy heads on pillows and training tiny hearts to know Jesus, I had no comprehension of the wild, devastating, uncontainable love I would feel for them. I didn’t know that they would some how be these little extensions of me, that when they hurt I would hurt more deeply than I ever had before and that when they showed delight over a success or an excitement for God’s Word my heart would swell within me and I would be unable to contain tears of joy. I didn’t know that sometimes I would look at them and just love them so much that my heart would physically ache within my chest. I didn’t know that I would blink and they would be grown up, and I would feel like their little lives were slipping through my fingers and I would want to just soak them up, pause the time and savor the moments; that I had this unspoken expectation in my mind that they would grow up and stay little all at the same time. That no matter what I would never feel that I had done well enough, loved hard enough, or taught them enough, but that wouldn’t keep me from pouring out every ounce of myself anyway. I didn’t know that I would see the sparkle of my eyes in theirs and hear the lilt of my voice when they spoke, or that I would smell the same scent of my skin when I kissed their foreheads or that over the years their laughs and their mannerisms would become more and more like mine. I didn’t foresee that I would sneak into their rooms late at night just to watch their chests rise and fall and study the way their little fingers curled around the edge of their blankets and that no matter how “big” they got I would still have the curves of even their fingertips etched in my mind. I didn’t know the rejoicing I would feel as I watched them serve others, when I saw them devouring scripture, praying, or longing for more of God. And I sure didn’t know the inadequacy I would feel as I realized more and more that I was shaping them, helping God make them into the people that He intended them to be. And at the end of the day I had no idea just how powerful and humbling it would be to acknowledge that it would only be God who could change them, redeem them, and save them, not me. Only He could work in their hearts and know their futures. Only He would had been with them all the days of their lives and would remain with them each day and receive all the glory. If I could reach back in time and whisper to her, I would tell her that I didn’t know Jesus the way I do now, before I became a mother, and that alone makes it all worth it. It is not lost on me, the miracle of all that has taken place here to allow me to feel all of these things. I look at these young ladies and so much of it seems like a blur. I can’t exactly pin-point all of the ah-ha moments, but somewhere along the lines, it happened. The daily choice became a habit and the habit became a lifestyle and we became a family. Somewhere in all the laundry and homework help and consistent discipline and constant, tireless love, it happened that I looked at my child and saw in her such a piece of me and He confirmed with real life what He had spoken to my heart many years before – she is mine. The youngest stands with her toes pointed out and her hands on her hips and I might as well be looking at a mirror. The oldest smiles gently and speaks truth and reminds me exactly of my mother as if it could somehow be genetic. And when that one smiles all her bottom teeth show, too, and she is confident in Jesus and wants big things from life just like a teenager I once new. And this one loves justice and learning how to cook new things while another shows patience in caring for younger children something I loved just as much at her age. And for us, this is the miracle: not that we experienced love at first sight but that God has given me a love for these once-strangers that is just as strong as if they had grown in my own womb. That somewhere along the line after weeks or months or years of choosing this kind of love, I suddenly found myself in the place that I am now where I have no choice, where I could not stop loving that if I tried because they are part of me. The miracle is that God has given me His eyes for them and in my moments of saying “she is mine” He has given me a glimpse of His heart for me. So to all the moms out there who are cradling their little ones, or even their big ones, and wondering when you will stop feeling like a surrogate; to the mothers who are clumsily jostling their newborn for the first time and to those who are staring out over the expansive distance that has grown between themselves and that hard-to-parent teenager; your Heavenly Father sees you. And He is glorified by your trying, your pursuing, your loving. Love is a choice, and as we choose it, it grows. We keep choosing love and He keeps choosing us, and this, my friend, is the miracle. My hope is that you will cherish God’s welcome invitation to know Him increasingly in answering the high calling that is motherhood. No matter how He has enabled you to be a mom, in marriage, in singleness, through foster care, through childbirth, as a mother of one, as a mother of many, keep being faithful to Him as you parent your children. He’s shaping them through you and He is shaping you through them. And to all the mothers who have given their foster children to forever families but still have that child-shaped hole in their heart, to the mothers now called “birth mom” who have given their child into a better life out of love, to the mothers whose babies now rest in the arms of Jesus; thank you. You are brave, you are beautiful, and this day is for you, too. Happy Mother’s Day to us! Katie you amaze me in how beautifully you express exactly what it is like to be a Mother. God bless you, your children, and any future children he gives you. Beautiful post and beautiful picture! Precious girls you have. And thanks for the thoughts in this post. This is beautiful Katie! Thank you so much for this. Thank you for being who you are and setting such an example for Jesus. I am a Mom of a 17 yr old girl. I run an outreach to girls 5-17 yrs old. I feel like they are all mine.... I love them all. This is so beautiful and encouraging. Thank you. A beautiful post . . . and an amazingly beautiful picture of you and your girls. Thank you! Foster mom for less than a year. Two have moved home, one is still with us & we may or may not be able to adopt him. I am 40 years old & yesterday I celebrated my first Mother's Day. It was a wonderful day in which my heart felt relief that I wasn't battling bitter feelings or holding back tears all day, although I still felt a bit like a fraud. This post spoke so much to me. "You didn't miss the miracle". Thank you so much. Very beautifully said and such an amazing photo! Oh Katie! I LOVE this! Perfect post! Oh Katie! This is a perfect post! Happy Mother's Day to you! Katie this is beautiful, thank you for sharing your words and heart wih us. Motherhood and walking hand-in-hand with Jesus, yes: both are blessings and both can be fraught, and the peace, joy, and love hardwon. What an incredible journey it is. Thank you for this post. After a long journey through infertility and into foster care, I found myself feeling unqualified for Mother's Day. After all, I am only filling in as a mother for a season. I do not know many people who can relate, so this post was an encouragement to me. Thanks. Hi Katie. I have read your book numerous times and I absolutely love it! 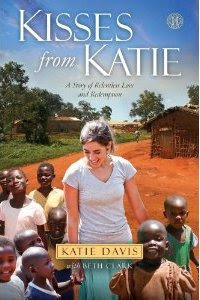 I have always feel called to do mission work and through reading your book I have fallen in love with Uganda. Me and my three friends are hoping to go to Uganda in high-school. I just wanted to tell you how much you inspire me. You and everyone else in Uganda are always in my prayers. I just finished reading your book for the first time and as I read I kept wondering "but what about now? How are the girls now? What does the story look like as it continues?" so I was so excited to see that you still update this blog! Christopher and I have always been passionate about adoption, but that moment made me realize that while it might not happen immediately, it would come eventually. That parental love. I love what you write here about the actions of love preceding the feelings. I think that's so true both with children we bring into our home and also in relationships! A friend of mine said she distinctly remembers when her adopted twin sons went from being someone else's children that she was raising to someone else had her children the first two years of their lives. My two adopted children are God's hand picked blessings to me. God bless your family! Love the book!so inspiring I would love to go there and help be part of this amazing journey. I sponsor three kids through Compassion. I have so much love for the children. I know God will open doors for me to be able to travel and visit places that my heart desires. Thank you for making everything so clear in what our mission is here on earth! Hugs and kisses to all the kids there! With love Steph R, From NJ. Your life through your words is vicarious to me. You go, Mama! We're cheering for you, thanks for cheering for us! God grew my family through adoption & I remember so clearly the day I realized I was falling in love with my first daughter. It is not instant but if we stay open to God's grace it is beautiful. Beautiful, Katie. I'm not a mother (yet!) but I know I will be. The truth you share about love being a choice that grows is true across the board - and it's one I've learned time and again in my marriage. Relationships really are what you choose to make them, and so many days I want to choose the easy way out. But it's that daily choice that keeps us together. Thank you for the reminder that just because some days are hard, doesn't mean I heard wrong. Thankyou so much Katie. You are truly an inspiration! I think for me one of the most encouraging things is that at the end, when answering questions, you told us exactly what you are like. That really helped me and the fact that you let people see you as you really are! It shows that Jesus can use us so powerfully even when we are far from what he wants us to be! He told me once, when I stopped teaching, to 'just do the next thing that I tell you'! I had no idea what that meant but now I understand! He has so much He wants us to do and he just wants us to be His hands and feet! Thank you Katie for your love and obedience and for your example to us all. Bless you and your wonderful family. Kisses to you all!! I think what your doing is one of the greatest works for God that you could be doing. You inspire me to listen for gods voice to hear what he wants me to do. Congratulations on your great journey and I will be praying for your ministry, it is totally amazing what has happened good luck Katie May God continuos bless you and your work. Excellently written. I adopted my daughter when she was 14 months old (she is now 38) and I distinctly remember the moment when I realized that I loved her as deeply as if I had given birth to her. This realization came about when I had a moment of forgetting that I had adopted her. Isn't God kind to knit us together in such a deep way and to hand pick our children for us, whether biological or through the blessing of adoption! Would love to hear an update on how things are going now that the girls have a dad in their lives. The picture of you and your girls is so beautiful! I am young, but I know God is telling me to serve. What can a 14 year old girl do for God?? The nudging from God I feel in my heart won't stop. Please help--you inspire me so much with your story as a young missionary. Thanks. My husband, myself and my daughter just read your book after a friend from church lent me Kisses from Katie. The reason that she thought that this would be a good book to read is because our youngest daughter is in your neighborhood in Uganda as we write. 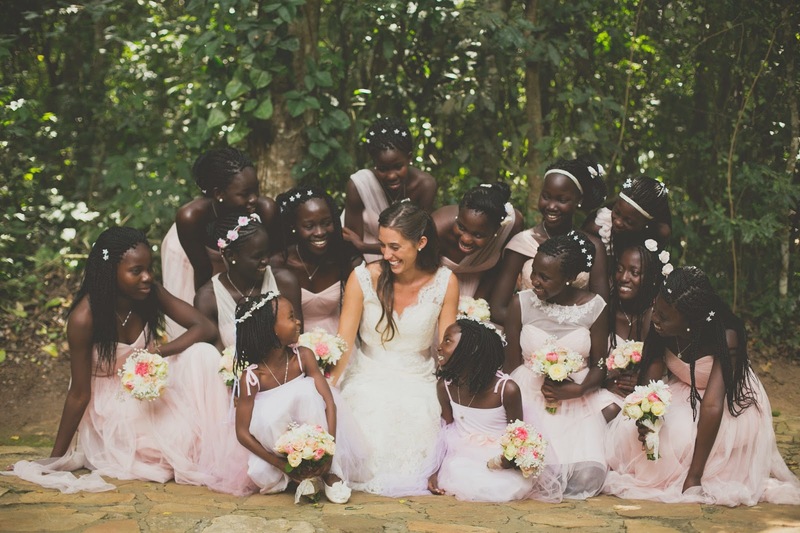 She has fallen in love with the people of Uganda. She will be returning home in the next month but with intentions of going back to Uganda. She is currently working with GOM and has such a beautiful heart for Jesus too. Your book is amazing in every way! The relationship you have with God is incredible. Your book brought us to tears as I read aloud to my family. The beauty of the words, scripture and your heart touched us in a very real way! We now pray for you and your beautiful family! All Glory to God for His wonderful works in and through you! Thank you for being the hands and feet of Jesus! You and your life story have inspired us here in our home. Katie, I read this for the first time I t was first posted and have read it countless times since then. Now, as I am waiting for our first foster placement, I want you to know that it has been the greatest comfort. Thank you for these sweet, compassionate words. I know you probably are not looking for anyone and Im not sure even exactly what I'm asking but are you looking or needing an intern this summer. I am about to finish high school and I just have been praying about it a lot. Well, I wish you had written this post about 15 years ago when I turned down children because I thought I would feel like a summer camp leader and not a mom. I was sure I needed young children in order to properly bond with them. Oh, the things I know now that I wish I had known then. I remember asking every adoptive mom I knew whether they loved their adoptive child as much as their biological ones. Most said yes. A couple told me some hard truths. It was not their truthfulness that stopped me from adopting at certain points along the way...it was my own selfishness, justified by so many reasons that seemed so right. And then one day Drea said to me, "maybe God's ideals aren't the same as your ideals." That was a gamechanger. I trust God will use your words as much as he used Drea's words in my life. I still cannot wait to be a mom to whoever God brings our way. Nothing matters anymore except saying yes to Him. And I'll let him provide the rest, realizing the story probably won't look like the one I would have written. And if does, well, then that's great. I'm getting to be the age of some young grandmothers! But, I don't think God puts age limitations on moms...at least he didn't for Sarah. So I wait and pray and thank you for all that you shared in this post. Maybe I will need to come re-read it in the future. As always, lots of love to the girl who has inspired me to be more Christ-like so so much. I ve done Nothing but read your Book the past two days, even though the title was familiar- I just now devoured it and it changed, challenged and gave sweet confirmation to my heart. Thanks for saying yes, surrendering to the unthinkable and loving with a heart like Jesus! Your story shouts Eph 3:19-21 my life line- I love it. i don't know you but I love you. You have touched eternity. Katie. This love is a progress also works in reverse. As a child my Mom ripped a dress off me and I learned to be afraid of her when her emotions were intense or on their way there. After my father died, I lost emotional and nurturing ties with my Mom. Now as I am in my 60's I see things from a different perspective, I choose to honor my Mom by being in contact with her via the phone and pray for her God has healed me of a lot of wounds so I can see beyond those things into the person God chose to be my mother. It is a choice for the adult child as well. Like the last person said. We are cheering you on. I start your book Kisses from Katie this weekend. God bless you and the message God has given to you to proclaim and act out in life. Went to the bookstore to find a book about someone in missions. They aren't that easy to find in Barnes and Noble! Ha! I prayed while I was there and said "Lord I really want to read a good missions story." I began searching and found your book. Boy, was I in for an amazing read! It touched my heart in so many ways. What I really liked is how real you were and how you poured your heart out on the pages of this book. You are truly incredible! Thank you for all you do, and for following the Lord's lead and hoping I can help financially and otherwise in the future! Take care, Katie! I read your blog today for the first time,my mom has been reading it and telling us all abot you, and you sound so delightful. Lets just say that Just reading your blog today has made me want to do something like this too. I am adopted and I have been for 11 years now. I am thirteen and so thankful for my family. I am adopted from just about 30 minutes away from were we live , so I dont know that much about international adoptions. But some of my best friends have adopted from uganda ,africa, china,japan ,and etheopia. I love what you are doing and I love it because you arent just adopting children and taking them home(wich I still admire) but you are staying there and living there with the children and I think that is so lovely that God has put that on your heart to do! And congrats on your marriage! Sending prayers and love to all of the children and yourself! "I knew many of my children months or years before I became their mother. When I first met them, I had no idea that this would be a bond we would share. Even when they first moved in and we filled out the foster care papers, I was tentative. I didn’t really feel like a mother, I felt like a stopgap in the system, a temporary solution. Even as we took steps to make their adoptions more permanent, after God had made it clear that we would be a forever family, I fumbled, often feeling more like a babysitter, or on good days, a fun aunt. Parents who are still feeling this way, be encouraged: you didn’t miss the miracle. The love at first sight moment isn’t really what it is all about, and might not happen for all of us. Some days, love isn’t a feeling, it is a choice." Please respond if this is not okay. Our website is powerofmoms.com. You are an amazing woman Katie! At younger than 16 I have been to Africa twice and it makes my heart overflow with happiness to read your story! You are amazing!